"Perfect DOS VGA 437" and "Perfect DOS VGA 437 Win" are truetype fonts designed to emulate the MS-DOS/Text mode standard font, used on VGA monitors, with the 437 Codepage (standard US/International). This is a "bitmap" font, meaning it emulates a bitmap font and can only be used at a given size (8 or multiples of it like 16, 24, 32, etc). It's optimized for Flash too, so it won't produce antialias if used at round positions. There are two fonts available. "Perfect DOS VGA 437" uses the original DOS codepage 437. It should be used, for example, if you're opening DOS ASCII files on notepad or another windows-based editor. Since it's faithful to the original DOS codes, it won't accent correctly in windows ("é" would produce something different, not an "e" with an acute). There's also "Perfect DOS VGA 437 Win" which is the exactly same font adapted to a windows codepage. This should use accented characters correctly but won't work if you're opening a DOS-based text file. 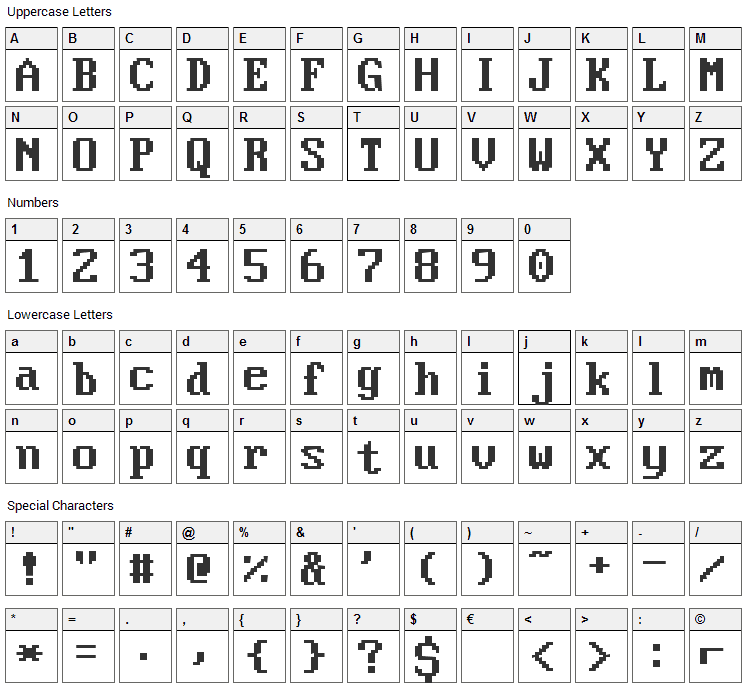 Perfect DOS VGA 437 font contains 255 defined characters and 251 unique glyphs. 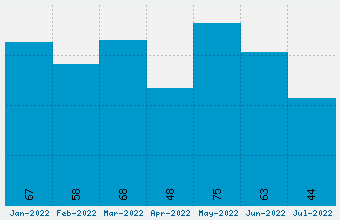 The font contains characters from the following unicode character ranges: Basic Latin (93), Latin-1 Supplement (96), Latin Extended-A (5), Latin Extended-B (1), Spacing Modifier Letters (2), General Punctuation (15), Currency Symbols (1), Letterlike Symbols (1), Mathematical Operators (1). Perfect DOS VGA 437 is a bitmap, pixel font designed by Zeh Fernando. The font is licensed as Free. The font is free for both personel and commercial usages. In doubt please refer to the readme file in the font package or contact the designer directly from zehfernando.com. 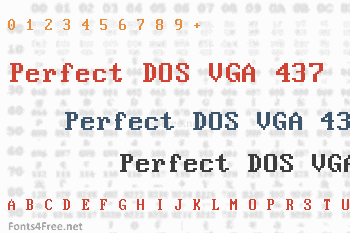 Perfect DOS VGA 437 font has been rated 4.0 out of 5 points. A total of 4 votes cast and 0 users reviewed the font.